Hong Hong is a violinist, pianist, composer, pipa performer, and Chinese music scholar who resides in Kansas City. Born and raised in Hong Kong, Hong Hong received her musical training from her mother since early childhood. She earned her Bachelor of Arts degree in Music from Hong Kong Baptist University in 2010, majoring in traditional Chinese music study. Upon graduation, Hong Hong started to incorporate her passion for traditional Chinese music into the field of composition. In 2012, she moved to the U.S. and furthered her study in composition at Northern Illinois University (NIU). During her two years of study at NIU, she was a member of the Middle Eastern Music Ensemble, the Afro-pop Music Ensemble, and the Chinese Music Ensemble. The cross-cultural musical experience broadened her musical horizon and enhanced her cultural identity in her music. She was also hired as a violinist of the Kishwaukee Symphony Orchestra in 2012-2014. She graduated from NIU with her Master of Music degree in Composition in 2014. Hong Hong was admitted to University of Missouri-Kansas City to pursue a Doctor of Musical Arts degree in Music Composition and a Master of Music degree in Music Theory in 2014. She completed both degrees in May 2018. Since she moved to Kansas City in 2014, she has established a successful reputation as a composer, a performer, and a Chinese music scholar locally. In 2015, she was a featured artist at TEDxWyandotte in which she shared her inspiring story of finding her unique voice as a composer and performer. In 2017, Hong Hong was commissioned by the Kansas City Electronic Music and Arts Alliance to write music for a guided sound walk to coincide with new artworks created for the exhibition Temporal Turn: Art and Speculation in Contemporary Asia at The Spencer Museum of Art in Lawrence, KS. 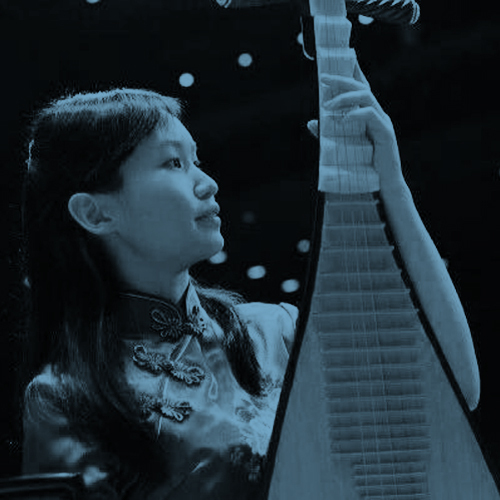 In 2018, she was invited to host a pipa performance and an educational seminar on ancient Chinese music at the Nelson-Atkins Museum of Art in Kansas City, MO. Hong Hong serves on the Worship team at her home church, Mill Creek Community Church, every Sunday.